Infused with fresh extracts of basil, mint and pomegranate, Iraya summer skincare range offers seven exclusive products with unique soothing benefits. Rejuvenate and refresh skin with Iraya summer range, enriched with basil and mint, been used for centuries as a soothing beauty ingredient. The myriad benefits of basil and mint holds the skin and rejuvenates it naturally. Its cooling properties provide instant relief from sunburns and other harmful impact of UV rays in the hot summers, besides providing the right amount of hydration. 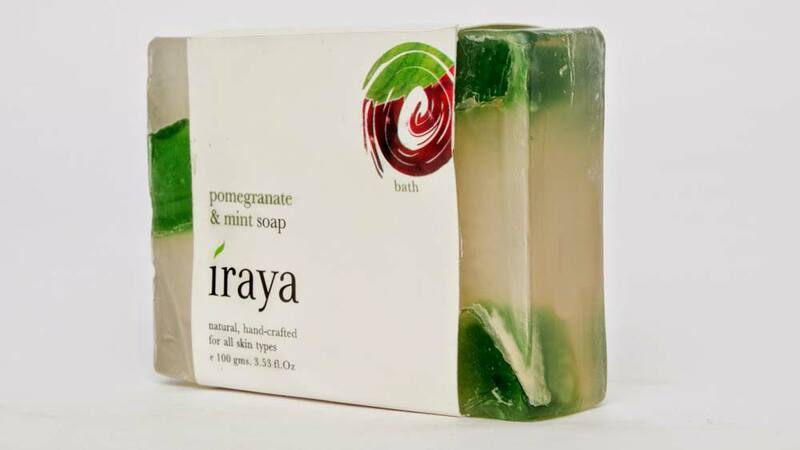 Iraya’s basil and mint skincare range is infused with other cooling ingredients like pomegranate and aloevera. The Basil & Mint Balancing Face wash and Pomegranate & Mint Face Tonic are the most incredible products offered by the brand to beat the heat. Restore moisture to sun burnt skin with Basil Gel and Revitalising Light Massage Oil enriched with Peppermint and Basil. Protect and enhance the beauty with Basil cream and pamper and soothe the hot and tired feet with Purifying Foot Soak Fizzy with core ingredients neem, basil and mint. 1. Basil & Mint Balancing Face Wash: Its purifies and balances the skin gently, removing excess sebum and impurities. The product is suitable for normal to oily skin and is enriched with basil, mint and molucca beans. It’s priced at Rs345. 2. Reviving Face Tonic with Pomegranate & Mint: It rejuvenates, revives, keep the skin healthy and younger looking. The product is suitable for normal to oily skin and pomegranate, mint, aloevera is infused in it. The product is priced at Rs395. 3. Basil Gel: It heals inflammation and balances excess sebum. The product is effective for oily skin type and its core ingredients include basil extract, aloe, lavender, anise. The price of this product is Rs325. 4. Tulsi or Basil Cream: This light moisturizer that heals and purifies, helps in enhancing luster and natural glow of the skin. The product is suitable for all skin types and is enriched with basil, sesame, aloe, lavender, and anise. Its price is Rs445. 5. The Revitalising Light Massage Oil is infused with Peppermint and Basil and is priced at Rs495. 6. Purifying Foot Soak Fizzy: Enriched with the goodness of neem, basil and mint. It cleanses, tones and refreshes the feet, with antiseptic, anti-inflammatory qualities of neem, basil, mint oil and epsom salt. The product is priced at Rs195. 7. Pomegranate & Mint Soap: It refreshes and energises the skin and senses with its essential ingredients like pomegranate, coconut oil, palm oil and mint. The product is suitable for all skin types and is priced at Rs175. Fortis to sell its Singapore unit for $83.5 mn..